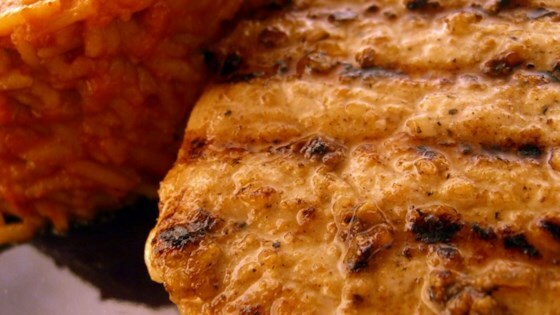 "Chops rubbed with a simple but flavorful spice and garlic mixture. For an even more potent result, toast and grind the spices yourself." Mix the salt, cumin, coriander, garlic, and 1 tablespoon olive oil to form a paste. Season the pork chops with salt and pepper, and rub with the paste. Heat the remaining olive oil in a skillet over medium heat, and cook the pork chops about 5 minutes on each side, to an internal temperature of 145 degrees F (63 degrees C). This also works really well on the BBQ. I added a half of a dried chipotle pepper to this and ground all the spices and garlic in amortar and pestle. Tasted GREAT!! Fantastic!! The best recipie that I have tried on this website. Thanks.